Claudia Carvalho is from the North-east of Brazil. Following in the footsteps of her father, a singer of traditional Samba, Claudia has been influenced by Musica Popular Brasileira, Samba and Bossa Nova. She won her first festival at 19. She moved to Paraguay to work on numerous child protection projects and became influenced by Paraguayan Polca, Argentinian Zamba and Peruvian Waltz. 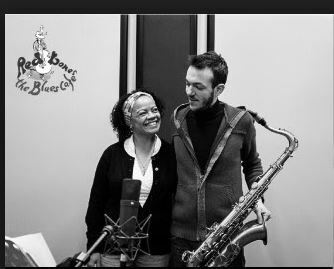 In 2014 she began a collaborative music project with Italian Jazz musicians. Currently her music is a soulful fusion of several styles combined with lyrics of great social importance.